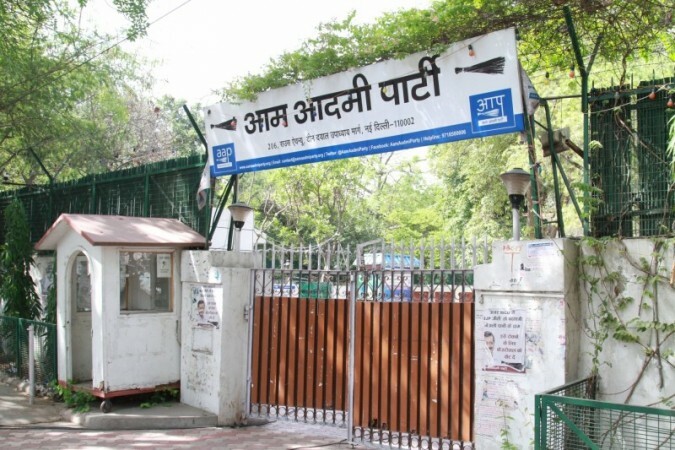 The Aam Aadmi Party (AAP) on Sunday condemned the sealing of 51 premises in Defence Colony here by officials of BJP-run MCDs and dubbed the party as pro-industrialists and against small businessmen. "The sealing of shops in Defence Colony -- and the way the three Municipal Corporations of Delhi run by the Bharatiya Janata Party have been conducting similar operations across the city -- shows that the party wishes to help big industrialists open their shopping malls by shutting down small businesses," AAP MLA Saurabh Bharadwaj told the media here. The South Delhi Municipal Corporation on Friday sealed 51 commercial units in the Defence Colony market on the charge of non-payment of conversion charges under the Master Plan Delhi 2021. A Supreme Court-appointed monitoring committee headed by Environment Pollution Prevention and Control Authority (EPCA) Chairman Bhure Lal inspected the market in the morning and directed the corporation to seal the floors above commercial units. Bharadwaj said there were reports that similar operations are to be conducted in other big markets across the city like South Extension and Green Park. "Businessmen are being misguided and intimidated by BJP leaders under the Master Plan 2021 to pay huge amounts as conversion charges. Shops of those who have paid these charges have also been sealed," he claimed. The AAP leader said there was a simple solution to this problem. "If the MCDs spare them of conversion charges, the problem can be solved very easily but the BJP doesn't have the intention to work for small businessmen."